It has almost been two years since Florida passed a constitutional amendment that broadly legalized medical marijuana, and implementation of the registration and dispensary system has come a long way. Marijuana remains illegal for residents who do not have the required medical marijuana card, and a legal battle continues regarding the legality of smoking pot as opposed to other forms of ingestion. According to the Sun-Sentinel, the litigation is related to a law that places a ban on smokable medical marijuana, even for patients who have the proper credentials. As more dispensaries open up, potentially eligible patients are questioning how to go about getting their medical marijuana card. The steps are simple and the process can take time, but it is critical to comply with legal requirements to avoid being charged with drug crimes in Florida. 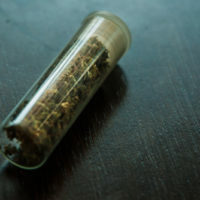 Medical Records: Only patients with qualifying medical conditions are eligible to obtain a medical marijuana card, so the first step is to request copies of your medical records. You will need to present them to a physician who is listed on the state’s Medical Marijuana Use Registry and has a license to prescribe medical marijuana. Note that your own primary care doctor may not have these qualifications, so you may need to switch to a new provider. You must be a patient of a properly licensed physician for at least three months prior to obtaining a diagnosis regarding your medical condition. In addition, you must be a Florida resident to be eligible for a medical marijuana card, so bring a copy of your driver’s license, passport, or government ID for your first meeting. Once you get the sign-off, you can move on to the next step. Registration: After your diagnosis and approval, your physician will enter your name, contact information, and medical condition details into the Compassionate Care Registry for medical marijuana use. This registry is operated by the US Department of Health, though the Florida medical marijuana program is administered by the state Department of Health. Application: When your name has been entered into the Compassionate Care Registry, you can submit your application to the Florida Office of Medical Marijuana Use; alternatively, you can have your doctor sent it in on your behalf. The application process may take up to two months, but you can expect to receive your medical marijuana card if your paperwork is in order. Throughout the process of applying for your medical marijuana card, it is critical to avoid any criminal activity related to drug crimes, including possession, distribution, or trafficking. Your application may be denied, even if you have a qualifying medical condition, received a diagnosis from a properly licensed physician, and submitted the proper documents. If you are arrested for drug crimes as an applicant for a medical marijuana card, you risk more than just the typical jail time, fines, probation, and other criminal punishment: It is possible that you will never get approval. For more information about fighting drug crimes charges, please contact Fort Lauderdale, FL criminal defense attorney Kevin J. Kulik to schedule a confidential consultation.